On December 1, 1955, a tired seamstress living in Montgomery, Alabama, made history. Rosa Parks was an African American woman who broke the law when she refused to give up her seat on a crowded bus for a white passenger. Her act of civil disobedience resulted in her being kicked off the bus and her arrest! 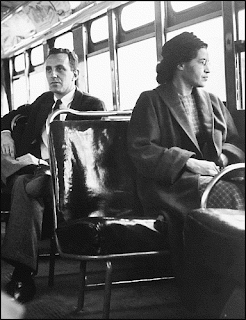 She was charged and found guilty of violating the segregation law of the city even though she had NOT taken a white-only seat that December day.That action resulted in a long boycott against the buses in Montgomery lasting 381 days and led to a Supreme Court action which overturned such discrimination laws. 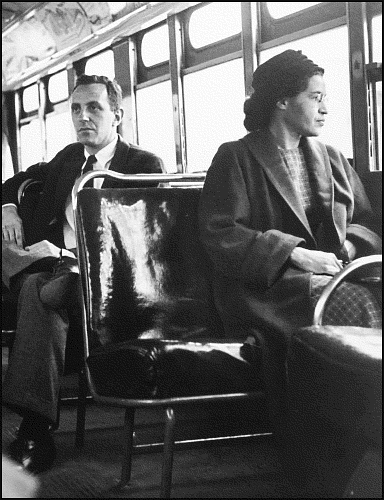 Rosa Parks is called the "Mother of the Civil Rights Movement”. Use December 1st, designated as Rosa Parks Day, to discuss the contributions of Rosa Parks. 1. Have you ever taken a stand about something? 2. Perhaps you have seen someone being bullied. Did you say or do anything? 3.What makes someone a hero? Would you say that Rosa Parks was a hero? (Why,why not?) Find a news story that shows an act of heroism. 1. White people, even those that couldn’t read or write, were “grandfathered” into being able to vote without a literacy test. 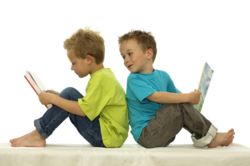 A law stated that if a relative could vote before the Civil War, you could, too,without haven’t to show you could read. 2. The Civil Rights Act of 1964, made Jim Crow laws illegal in the United States. 4. When Rosa Parks died, she was the first woman and second African American to lie in state in the Capitol Building. President George H. W. Bush, ordered all flags at half staff in her honor, on the day of your funeral. 5. There is a statue of Rosa Parks in the Statuary Hall of the US. Capitol Building. 7. Time Magazine named Rosa Parks one of the 20 most influential figures of the 20th century. 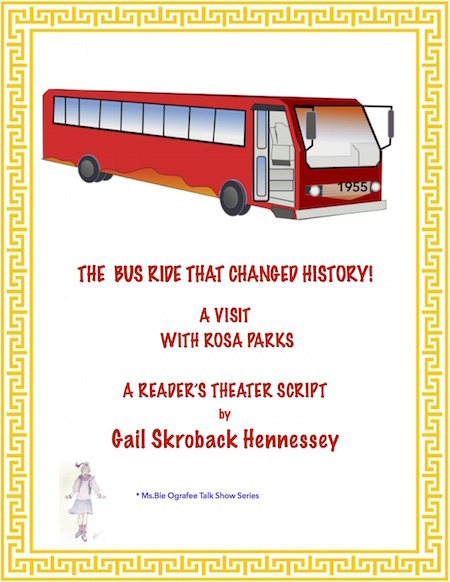 Check out this Reader’s Theater Script on Rosa Parks for kids to learn all about her life and contributions.